You’re happy with your relationship and shrug it off. 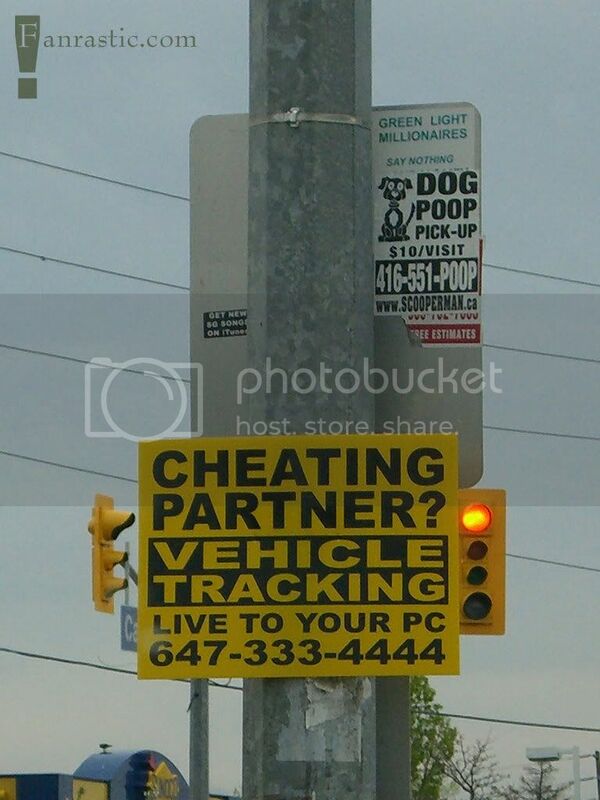 You’re the suspicious type and think vehicle tracking will get you some answers. You’re a gadget geek and think vehicle tracking is cool. Only you’re not in a relationship and don’t have anyone to track. But it’s still cool! You’re the paranoid type and wonder if maybe your partner is tracking you. You self-consciously adjust your tinfoil hat and cautiously move on. Even though you don’t own a dog, you dial 416-551-POOP because you think any phone number with “poop” in it has to be worth dialing. 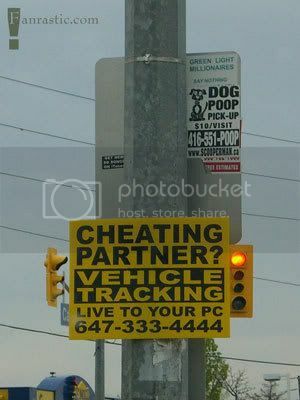 Needless to say, you haven’t been in a relationship for a very, very long time and didn’t even notice the bright, yellow sign reminding you of that. Man, do they also pick up human poop?